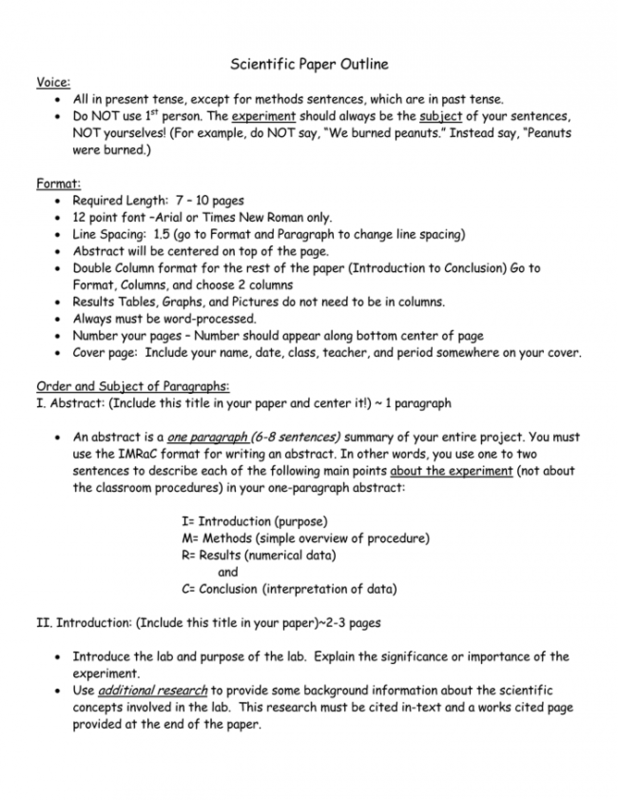 The importance of writing a well-constructed research paper outline is of the highest caliber. Correctly writing your research paper can be stressful, confusing, and agitating. Which, is why this paper will provide a strong outline format to help you succeed in creating a professional level research, with this powerful outline, you can’t go wrong! 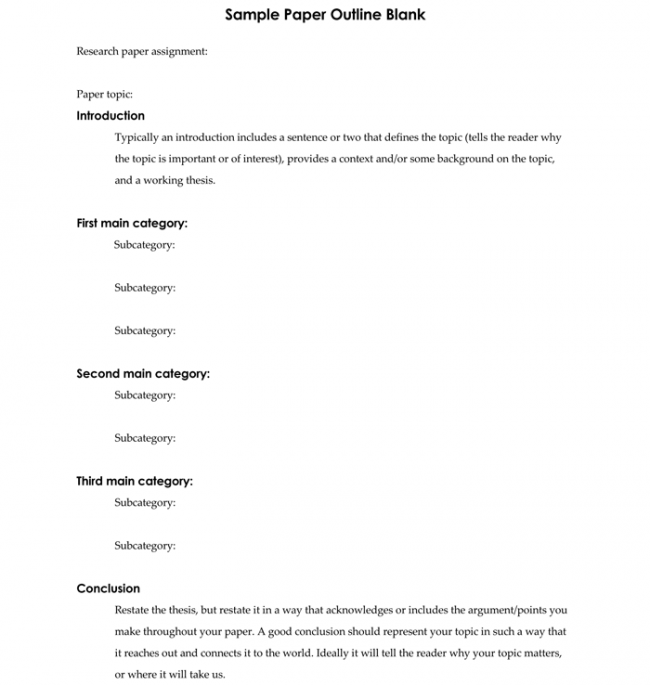 This post will provide a step by step guide to creating a proper research paper outline. We will cover, the introduction, the body, the importance of transition words, and the final paragraph. In order to write a paper, you must, obviously, begin writing it. However, people often struggle to try to find a way to start their essay. Perhaps, a large calligraphic letter? Or even better, write an introduction (usually a paragraph) presenting the thesis of the essay and the main points of your writing. You want to grab the attention of your reader and provide them with the basics of what you will be discussing. You could open with a question, for instance, if you were writing a research paper on “The Politics of the Wild West”, you could start of the introduction paragraph with, “We all know about the brash cowboys and lawless men of the old west, however, have you ever wondered about the politics and laws that these men lived under?” The sentence is interesting and catches the attention of the reader. Next, I would suggest listing the topics you will cover in the body of your paper. There are several ways to go about this, you could create an actual list of subjects you will discuss in the body, It’s possible to state them in one to two sentences, in example “The Wild West isn’t quite as ‘Lawless’ as old westerns might suggest, they had, *List of main topics provided in the essay*” Now, you could end your short paragraph there, perhaps while adding a small sentence such as, “Read more to find out” or “continue for further information”. 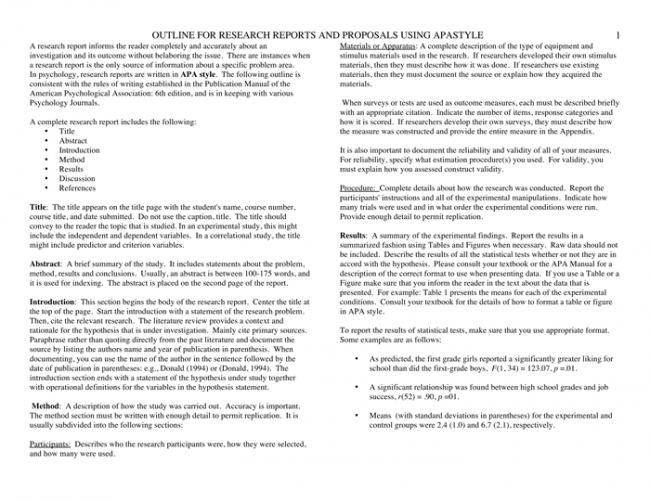 Or you could provide more, such as some brief background information on the main subject of the essay, after all, how do we know that the reader has the same background information on the subject that you do? 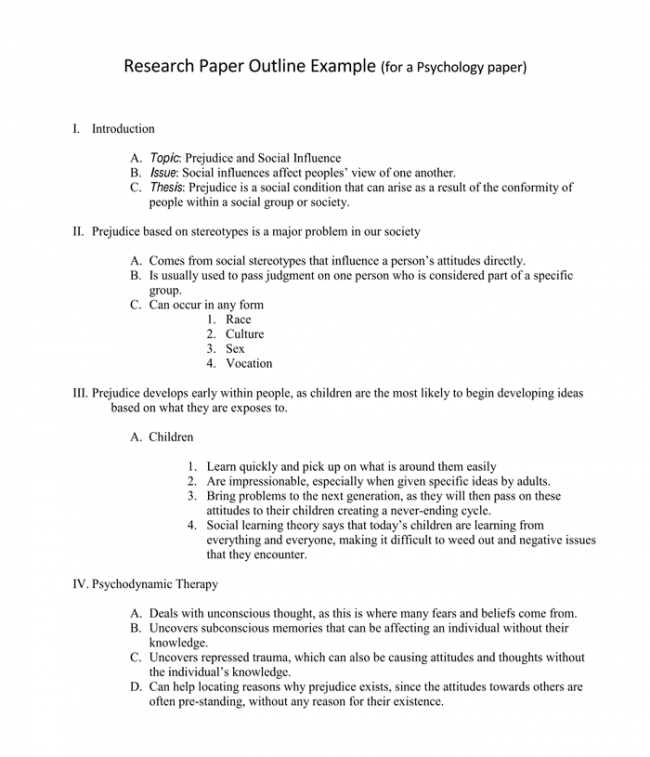 To create the body of the research paper outline, you have to first, conduct research. Make sure that you write down all of your sources during your research, thus making the process of creating your work cited page, much easier. The body of your paper will be the most important part. It contains all of your research and findings. 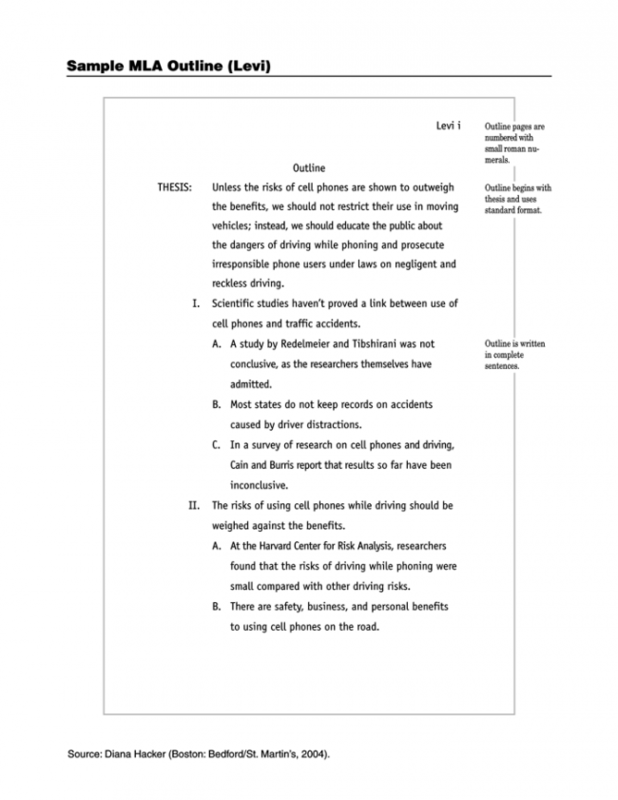 You’ll want to be concise as possible, make your paragraphs to the point and easily readable. 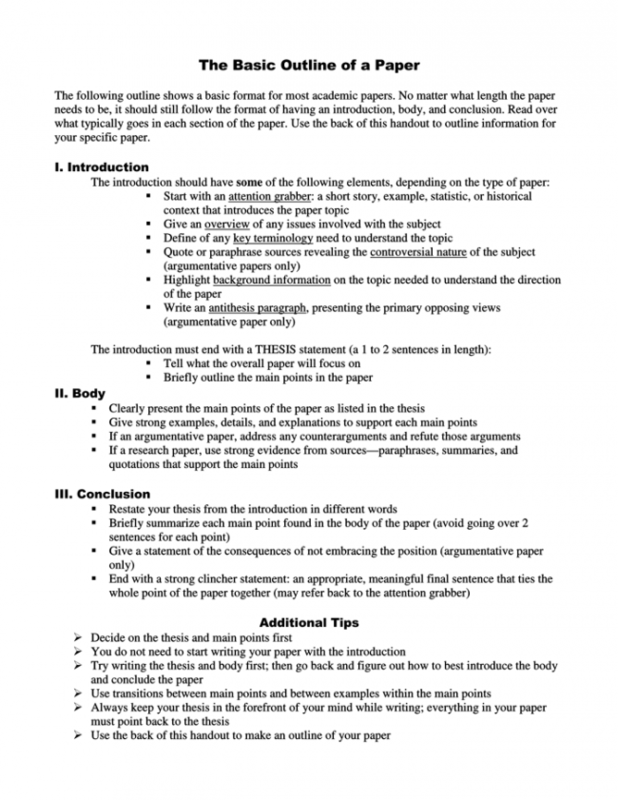 Depending on your main topic, a short and to the point paper should have somewhere between three and five paragraphs inside of the body. 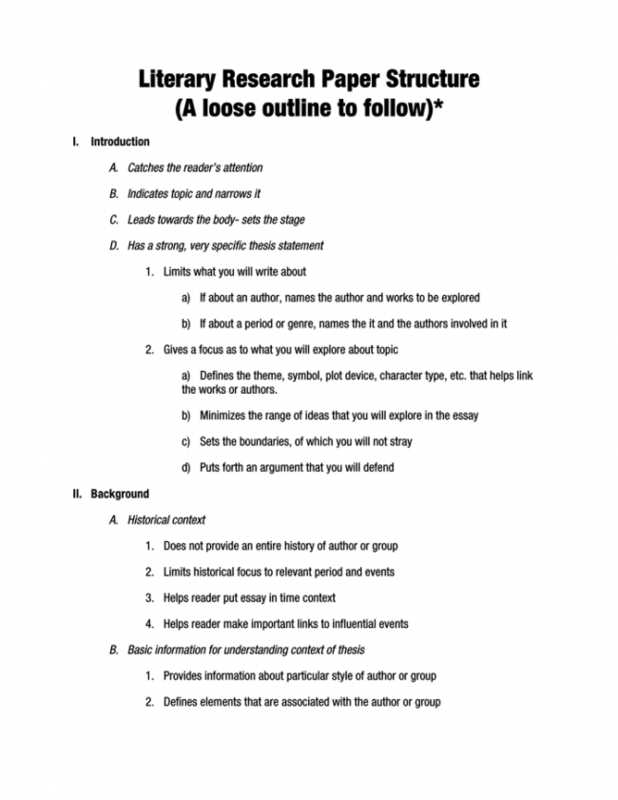 Each paragraph in the body of your paper should focus on a lingual subject. Going off subject can lead to confusion and you will lose the readers interest. Ever paragraph should be five to eight sentences and should start with a transition word, transitioning words help keep your work flowing and prevent awkward pauses in the text.